The Decision Memo (DM) for the Valley County Quarry Development Project has been signed. The decision will authorize the issuance of a 5-year special use permit (SUP) to authorize Valley County to use National Forest System lands for the purpose of developing and operating a quarry. The crushed gravel produced at this quarry will be used as surfacing on County roads that run through the Boise and Payette National forests in the Yellow Pine area. The surfacing will improve the maintainability of the roads and will reduce the amount of sediment entering the streams and rivers that these roads follow. Implementation of this decision is scheduled to begin in the summer of 2019. If you have questions, please contact Jake Strohmeyer, Cascade District Ranger at 208-382-7402. We still have a lot of snow in Yellow Pine. 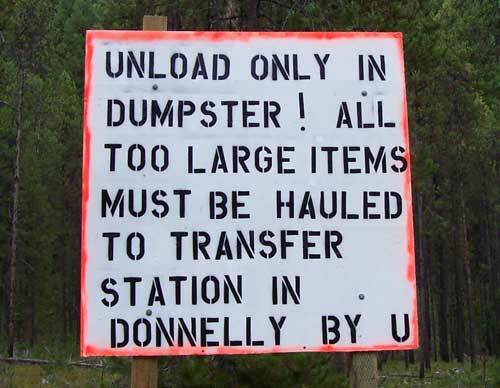 Note: The dumpsters are full. Lakeshore may come in next week. Mountain lion sighted a few mile up the East Fork from Park’s Creek March 9th. Fox tracks in the village this last week. Please do not leave pet food outdoors and remember to keep trash secured, it will draw foxes, coyotes and loose dogs. Emergency boil order instituted March 8th until water issue is solved. The YPFD has 2 Sizes of Chimney Brushes with extension rods that were donated for use around YP. If you would like to borrow one, please contact Cecil or Jeff and we’ll get them for you. The YPFD also has loanable mitigation tools, (Weed-Whacker, Hedge Trimmer, backpack blower and 16’ pole saw). If you would like to borrow one or all, please contact Cecil or Jeff and we’ll get them for you. Monday (Mar 4) overnight low of 15 degrees, broken cloud cover and light breeze this morning, old snow averages 27″ deep. Local pine squirrel, a few juncos, some red-breasted and 2 white-breasted nuthatches, jays, a clarks nutcracker and a hairy woodpecker visiting this morning. Partly sunny mid-day, icicles dripping, high of 40 degrees. Mostly jays, juncos and nuthatches after lunch. By mid-afternoon it was partly clear, light chilly breezes, still above freezing and lots of icicles dripping. At dusk it was mostly cloudy, starting to freeze up and calmer. Partly clear at 10pm, stars to the east. Tuesday (Mar 5) overnight low of 11 degrees, partly clear sky (high haze), snow depth ranges from 24-28″. Fresh fox tracks in the neighborhood. Pine squirrel, jays, red-breasted nuthatches visiting. Mid-day blue sky over VanMeter, cloudy to the south up Johnson Creek, gusty breezes and icicles dripping, high of 44 degrees. European starling, red-winged blackbird, flicker and a quartet of jays visited after lunch. Mid-afternoon warm, drippy and overcast, some paths are breaking up. At dusk it was still above freezing, flat gray sky. Cloudy and calm at 10pm. Started snowing around midnight. Wednesday (Mar 6) overnight low was probably a little below freezing, mostly cloudy sky this morning, 1/2″ new snow, 27″ total snow. Lots of birds: juncos, red and white-breasted nuthatches, red-wing blackbird, hairy woodpecker, northern flicker, clarks nutcracker and of course the jays. Mail truck made it in good time today. Mid-day it was warm and lots of melting, high of 48 degrees. Mid-afternoon dark clouds, rain and gusty winds. Loud gunshot at 548pm. At dusk it was sort of misting, above freezing and very wet and drippy, dark clouds. At 10pm it was 33 degrees, occasional drops. Probably rained most of the night. Thursday (Mar 7) overnight low of 32 degrees, no new snow, measured 0.34″ of rain in 24 hours, old snow is down to an average of 24″ on the flat, overcast and a few drops of mist this morning. Red and white-breasted nuthatches, starlings and jays visiting. Mid-day filtered sunshine and icicles dripping like crazy, high of 43 degrees. Clarks nutcracker, hairy woodpecker and jays visiting after lunch. By mid-afternoon it was partly cloudy, lots of blue sky, warm sun and lots of melting. At dusk it was partly cloudy and starting to freeze up. Some stars out at 10pm. Friday (Mar 8) overnight low of 7 degrees, high thin haze and light cold breeze this morning, 24″ old crusty snow on the ground. Pine squirrel, starlings and jays visited early. Gray overcast and a few drips from icicles mid-day, high of 37 degrees. Starlings are still hanging around. Breaks in the clouds mid-afternoon, a little above freezing, icicles dripping and chilly light breezes. Cow elk with collar walking up Pioneer St. at 545pm. Report of a elk leg laying in the road near Park’s Creek. Deer and eagles on the South Fork. It had just started snowing at dusk and below freezing, clouds lowering. Snowed until around midnight. Saturday (Mar 9) overnight low of 9 degrees, high thin haze and filtered sun this morning, average of 24″ snow on the ground. Hairy woodpecker, red-breasted nuthatches and juncos visiting. Thicker broken cloud cover mid-day and icicles dripping a little, high of 34 degrees. Mid-afternoon gray overcast, cold breezes. At dusk the sky looked partly clear, some high haze with little clouds around the edges, very thin fuzzy crescent moon in the sky. Flag flapping breezes and some stars out at 10pm. Clearing and cold night. Sunday (Mar 10) overnight low of 2 degrees, clear sky and light cold breezes this morning, est. 24″ snow on the ground (not much melting yesterday.) Red-winged blackbird, starlings, jays and a hairy woodpecker visiting. Very blue sky, breezy and icicles dripping mid-day, high of 39 degrees. Mid-afternoon clear blue sky, strong sunshine, breezy and icicles dripping. Clear at dusk, bright crescent moon high in the sky, temperature dropping quickly. A few elk (including one with a F&G collar) wandering up the main road. A celebration of our dear friend John Lance, of Donnelly, [was] held on Saturday, March 9, at 2 p.m. at The Donnelly Club. John lost his courageous battle with cancer on Feb. 15, 2019. He will be missed by many and was loved by all. He was our bartender, friend, mentor and confidant. He never missed a festival, horseshoe tournament, or an opportunity to travel and visit friends and family. Don your favorite tie-dye, funny T-shirt or Hawaiian attire and join with us and celebrate. Bring your favorite photos, memories and favorite dish. Be prepared to dance. Valley County received four months worth of snow in four weeks. With the wind, I had to take road graders off of their routes to assist in opening roads that kept blowing closed with the relentless winds. With the bad visibility, I had numerous dump trucks run off the road and get stuck because they could not see the road during very low visibility, and those same road graders had to go pull them out. It is my decision to move this equipment around just to try to keep the roads open and to get the roads open. I do realize that some roads have been neglected but most of those roads are at least passable where, unlike other roads, there were residents stuck at home for two days because we couldn’t keep the roads open. Almost all of my crew, including myself, had been working 12 to 18 hours a day just trying to keep up with Mother Nature, and they do have to go home and eat and rest. Now we are in the clean-up stage, cutting the snow floor off and winging the banks down, so that means more berms in people’s driveways. We do not have snow gates to keep from putting snow in the driveways. Only limited pieces of equipment are capable of turning the blades, and if we take all the snow to one side of the road, then we create a giant mound of snow on the other side. If we backup to remove every single berm in driveways on our roads, we would be doubling our time. If we remove one driveway berm, then we have to remove all of them. My mechanics have also been working long hours trying to keep equipment moving but with a fleet this size something is always broken down and we only have a couple pieces of spare equipment set up to remove snow. We have no backup road graders so when they break I have to put a truck on that route which doesn’t do the job as efficiently as the grader. At this point I have hired private snow removal companies to go out and help us with bigger snow blowers to widen roads and clean our cul-de-sacs out so there will be room to put the next snow storm. I participated in a conference call with Senate Committee Staff to discuss Secure Rural Schools (SRS) and Payment in Lieu of Taxes (PILT) payments. We discussed a potential change to assist counties with populations lower than 5,000 for PILT funding and long term SRS funding. I also created my January newsletter to send out. Today was a Commissioner meeting day. You can find the minutes once approved on the Valley County website at Valley County Idaho | Official Site and clicking on the commissioners section. I drove to Boise to attend an Idaho Association of Counties (IAC) Board meeting tonight and attend the IAC Conference this week. I attended the IAC Public Lands Committee meeting. Topics discussed were on National Forest Management, Wilderness Study Areas managed as if a Wilderness, Good Neighbor Authority process, Stewardship Receipts and how they are utilized, Potential legislation to permanently fund the SRS program with an Endowment and Public Access through Private Lands. I attended a First Time Attendees session to assist with understanding the benefits of attending an IAC Conference and learning more about county government. Next I attended a Legislative Panel discussion where the moderator asked questions of State Legislators on specific issues happening currently in the Idaho Legislature. Topics included Mandates forced onto Counties, Local Option Sales Tax to fund specific projects, Justice Levy caps as they relate to counties struggling to fund their Sheriff’s Offices including Jails, Public Defense Costs to a county, Transportation Funding and Medicaid Expansion. I then walked into a County Roundtable Discussion to be asked to Facilitate the discussion. Topic here were Issues with the Department of Motor Vehicle Internet Connections with the State, Wolf Depredation on Livestock and Wildlife in Idaho, Cyber Security and Counties being impacted by Viruses. This evening was the IAC Legislative Reception where State Legislators joined us for the evening of networking. This morning was a meeting of the IAC Commissioners. We had presentations on Liability and Risk by the Idaho Counties Risk Management Program, Public Defense Rules and Guidelines and Jail Standards. I then drove home after the conference. This morning was a conference call with the leaders of the National Forest Counties and Schools Coalition (NFCSC) to discuss an upcoming SRS Fly In to Washington DC to advocate for the SRS funding. At noon I participated in a National Association of Counties (NACo) Executive Board conference call. We discussed the schedule for the upcoming NACo Legislative Conference in March, heard who would be attending as speakers and learned of scheduled Hill Briefings during the conference. I created my West Region Caucus Meeting Agenda for the NACo Conference. I received a phone call from our Solid Waste Contractor to discuss potential changes to our contract in the future. Commissioner day today. Please find the minutes once approved on the Valley County website. I received a call from a Tamarack representative to request being placed on a future Commissioners agenda. I sent out a NACo West Region conference call reminder and agenda for the call. I prepared and sent out a notice of how Valley County offices could decide if employees could be allowed to stay home due to snow conditions. I sent out emails to Idaho Commissioners on impacts from wolves to livestock and wildlife. I researched contact information as I am attempting to connect folks who are working on Cyber Security to share resources. I received a call from the School Superintendent thanking Valley County Road Department for working with him when schools need to be closed due to weather conditions. I hosted the NACo West Region Conference Call today. We discussed the potential of the SRS Endowment Idaho’s Senator Crapo and Oregon Senator Wyden are working on for permanent funding of SRS. As there were questions on the history of SRS and PILT by one county council person I prepared documentation to send to their county to assist in understanding the programs. I received a call from members of the NFCSC to discuss some of the language in the SRS short term funding and the long term endowment proposal. President’s Day Today. I reviewed letters and documents pertaining to a Conditional Use Permit that was appealed to the Commissioners. Commissioners day today due to President’s Day yesterday. Please find the minutes once approved on the Valley County website. I called and visited with NACo staff on the SRS proposals for short term and permanent funding. I attempted to call Senator Crapo’s office in Washington DC only to learn the offices were closed sue to weather. When it snows in Washington DC it shuts the city down. I participated in a NFCSC conference call finalizing the upcoming SRS Fly In details. I attended the Payette Forest Coalition (PFC) meeting at the Payette National Forest Supervisors Office. Discussions were held on projects completed for restoration and proposed projects for restoration. Also discussed were Stewardship Funding that the Forest Service wanted approval on from projects they decided. Of course I voice my opposition to not allowing the PFC members the opportunity to apply for projects that they felt might be beneficial to the local forests and economy. I participated in a NACo Transportation Committee conference call to review proposed resolutions that will be heard during committee meeting at the NACo Conference in March. I prepared an email to the House Revenue and Tax Committee to oppose HB 154 which would change the Sales Tax formula and hurt 40 of the 44 counties and help 4 of the largest counties by providing them more funding. Valley County would lose $50,000.00 in revenue that would of been shifted to the property tax payer. Not a good move in my opinion. (note the bill is being held in committee). I participated in a NACo Executive Board conference call where we discussed additional meetings during the upcoming conference in March. A meeting on Waters of the United States (WOTUS) will happen the day prior, speakers include Ben Carson, Senator Rubio, Secretary Purdue to name a few. There will also be a Day of Rural Action Caucus the day after if folks are still in town. I also received a message that I was to introduce Idaho Congressman Russ Fulcher for the SRS/PILT Press Conference at the Nations Capitol during the NACo conference. Commissioner day today. Minutes once approved will be on the website. I participated in a NACo staff call to discuss the WOTUS meeting on Friday March 1st at NACo Headquarters. This was to help us to prepare for the meeting and who would be attending. NACo has been a strong partner to help clarify the rules of WOTUS as it is being rewritten. I received a call on concerns about snow preventing a school student’s mother from getting to her child when school is let out. After a few calls I received a message saying thank you as it had been plowed. With the recent snowfall I had been in contact with our Road Superintendent as we had several major breakdowns during the storms which created less than we wanted in snow removal across the county. I flew to Washington DC to attend the NACo Legislative Conference. Tonight after arriving I met with NFCSC Leadership and NACo staff assigned to SRS to learn how the NFCSC Fly In went. 25 folks attended their Fly In and the offices they met were generally in favor of supporting the SRS program while working to continue with Responsible Forest Management of our National Forests. Well the last 10 days or so showed us Mother Nature still knows how to send us the snow as schools were closed on five different days. Lots of snow fell which made our region look more like the days of my youth. High snow banks and fence post covered over in many areas show how deep the snow is. Ski areas are loving the huge snow amounts and next summer all our lakes will be full. Thanks for reading the newsletter. We would like to share this information with all of you in regards to the plans that are in development with the Idaho Transportation Department (ITD). The section of highway that is being discussed is from MP 98, northbound to MP 99.4 The section of roadway has been identified as an area of safety concern. ITD has identified alternatives and secured funding to improve safety and mobility on this corridor. Construction would began after peak summer travel has subsided. Please click through the tabs at the top of the screen for more information about this project. To find more information and updates on road construction throughout the State of Idaho, visit the ITD website and clicking on the ‘PROJECTS’ tab. The U.S. 95 Little Rainbow Bridge north of New Meadows will be replaced starting this month, the Idaho Transportation Department announced. The Little Rainbow Bridge, located about 13 miles north of New Meadows, has reached the end of its design life, an ITD news release said. The new structure will include a wider bridge deck and upgraded guardrail among other safety enhancements. Braun-Jensen of Payette will build the $4.1 million project, with construction expected to be completed in late fall. The work zone will be reduced to one-lane of traffic with flaggers assisting motorists through the area. As construction progresses, signals will be placed on either end of the structure. Work will occur during daytime hours. The replacement of the U.S.95 Weiser River Bridge located about 10 miles north of Council has begun, the Idaho Transportation Department announced. Built in 1939, the bridge has reached the end of its design life, a news release said. The new structure will include a wider bridge deck and upgraded guardrail among other safety enhancements. Knife River is the contractor for the $7.1 million project, which is scheduled be completed in late fall. The work zone will be reduced to a single lane with alternating one-way traffic, an ITD news release said. A traffic signal will be used at either end of the structure, and flaggers may assist with traffic control during different construction phases. Work will occur during daytime hours. Motorists are encouraged to slow down and be prepared for stopped vehicles at the signal and crews working in the immediate vicinity. Ski patrol uses dynamite to mitigate avalanche danger. Epic snow in February hit Idaho’s mountains hard. At resorts like Tamarack that made it an epic month for skiers and snowboarders who had day after day of pristine powder. But for ski patrollers it created more work. One of their top priorities? Mitigating avalanche danger with explosives. Because of safety concerns they only allowed us on the mountain after the bulk of the storms had passed. But even when the snow lets up, cornices on the top of the mountain pose a risk of slides. 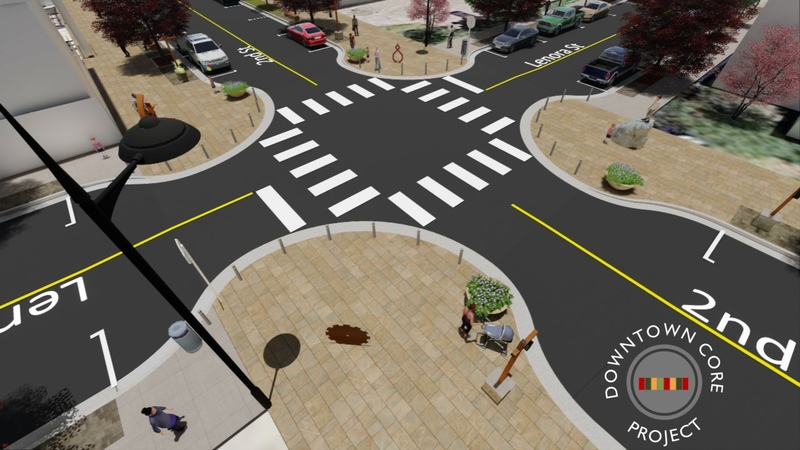 Work on a multi-million dollar reconstruction of McCall’s downtown core will begin this spring after action taken by the McCall City Council at its regular meeting last Thursday. A contract worth about $2.8 million was awarded to Sunroc Corp. of Boise. “This phase is the most expensive phase in the downtown core, and it’s coming in under budget,” McCall Public Works Director Nathan Stewart told council members. Sunroc bid was about $150,000 below estimates provided by the city’s contract engineer, Horrocks Engineers of Nampa. The work will focus on reconstructing Second and Lenora streets as well as building sidewalks, street lights, and streetscapes, Stewart said. Work is expected to last until August and will be divided into four stages to keep local businesses accessible and avoid snarling traffic, he said. During the winter, the snow stacks up at Stibnite. In fact, it has buried cars and covered roofs several times these last few weeks. Snowy winters are a big part of the Stibnite Mining District’s rich history. 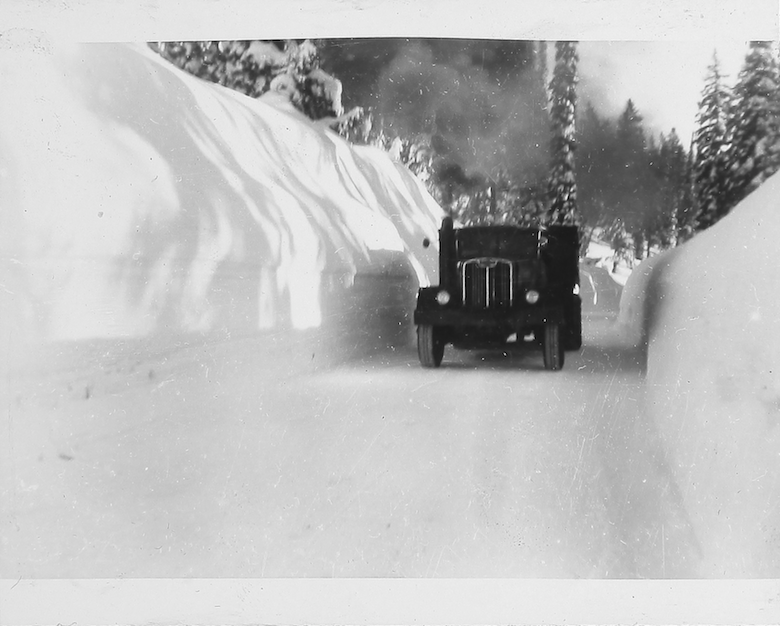 We have photos of the area from the 1940’s that show the snow when it was more than 20 feet deep. In 1949, the roads were so bad supplies couldn’t be driven into site, so food had to be dropped out of planes for the miners. And in the earliest years of the site, Stibnite was totally inaccessible during the winter season unless you were traveling by dog sled. While a lot has changed over the years, access to this part of the backcountry during winter was still limited just 10 years ago. Before Midas Gold started to explore the area for gold and antimony, Stibnite Road was piled too high with snow to drive a car or truck all the way up to the site. Today, we work hard to make it easy for recreationalists and snowmobilers to get up to their favorite spots during snow season. Boise, Idaho — Legislation that would have allowed private citizens to bring civil lawsuits against private individuals or entities willfully and knowingly blocking access to public lands has failed. The Senate Resources and Environment Committee on Monday voted to hold the bill in committee, killing it. Backers of the legislation say illegally blocking access to public lands used by hunters, anglers and other recreationists is a problem in Idaho because there’s rarely any prosecution and possible fines are too small to create an incentive to follow the law. Boise, Idaho, March 4, 2019–Landowners who wish to purchase trees and shrubs to create windbreaks, improve wildlife habitat, and enhance their property are encouraged to come to the Lucky Peak Nursery’s annual surplus seedling sale. The sale begins Saturday, April 6, from 8:00 a.m. to 4:00 p.m. Seedlings will not be available on Sunday. The sale continues through the end of April; Monday through Friday, 8:00 a.m. to 3:00 p.m. The price is $30.00 for 50 seedlings. Fifty seedlings is the minimum quantity that can be purchased. A bundle of 50 seedlings will easily fit into a standard grocery bag. This year limited quantities of big sagebrush and ponderosa pine seedlings will be available on a first-come, first-served basis. The Lucky Peak Nursery is a resource for the entire Intermountain West, producing over three million (one and two-year old) trees and shrubs. This year marks the 60th anniversary of the nursery’s inception and constant efforts in public land conservation and restoration; stay tuned for upcoming ways to celebrate with us. Seedlings produced at the nursery are used for restoration efforts on public lands disturbed by wildfire, timber sales, or other events. Some brush species produced sustain mule deer populations on their winter ranges. When the nursery has produced more seedlings than is customers need, the surplus becomes available to the public. The seedlings are best suited for land owners with property in rural areas. They are not intended for homeowners in urban areas to plant in their backyards. Written planting instructions and technical assistance will be available. Dear friends. The attachment is very important for landowners, sportsmen and women, folks that just enjoy watching wildlife and those that would like to raise pheasant chicks. Please read and pass along to your friends. Make a few copy’s and take to work. All farmers, land owners, sportsmen and women, and those who like to watch wildlife are invited to the Viola Community Center for you to meet with the Gamebird Foundation, Idaho Fish and Game, and the Latah Sheriff. We want to show you how we have been improving habitat for birds of all kinds, and other wildlife. Starting at 2:30 there will be a 1/2-hour power point presentation from IDFG on habitat restoration – and cost sharing, how you can get some financial help from the SAFE program, from the HIP program, and other sources for your land restoration activities. How you can get baby chicks free!!! We will be able to show you the release property that is available for youth hunting with adult mentoring. We will have a video of young folks helping release rooster pheasants. Where does this happen? Pet Talk – Why do big, old dogs breathe so loud? Many older large-breed dogs breathe and pant as if something is caught in their throat. This is a disease called laryngeal paralysis. It is an inadequate opening of the larynx, or opening to the windpipe. This is due to weakness or paralysis of the vocal folds in the larynx. The disease varies widely in severity. It is very common in Labrador retrievers and golden retrievers older than 9. Male dogs are more commonly affected than female dogs. The primary cause of this condition is damage to the recurrent laryngeal nerve, which brings nerve supply to the vocal folds. In most cases, we do not know the exact cause of the paralysis. Clinical signs include voice change, exercise intolerance, panting and difficult/noisy breathing. The dog produces a raspy, hoarse sound while breathing. Sometimes no obvious signs are present at rest, but even mild exercise can cause respiratory distress. The body temperature may rise and some dogs may collapse if they can’t get adequate oxygen. Definitive diagnosis is made by direct visualization of the cartilages of the voice box. Poor movement, or “fluttering,” of the cartilages will be noted. Your vet may want to perform tests on your dog, such as X-rays of the neck, thyroid tests and other blood tests. … The researchers suggest that clinicians work with patients who use dog walking as exercise to reduce the risk of injury. That could including training dogs not to lunge when leashed and suggesting smaller breeds of dogs. Billings, MT. — Wildlife advocates say plans to lift protections for gray wolves across the Lower 48 states could halt the predators’ recovery in many areas where they’ve been exterminated. U.S. Fish and Wildlife Spokesman Gavin Shire told the Associated Press Wednesday the government will propose lifting protections for wolves in coming days based on their successful recovery. But environmental groups say the gray wolf remains absent across a majority of its former range, including portions of the Adirondack Mountains in New York State and southern Rocky Mountains of Colorado and New Mexico. Spokane, Wash. (AP) – A new study shows that different types of deer react differently when approached by hungry wolves. Researchers at the University of Washington recently studied how wolves are interacting with two species of deer in the state: white-tailed and mule deer. The study found that white tailed deer are graceful runners who will seek flat ground in an effort to outrun wolves. But mule deer have developed a quick jump escape technique that makes them appear to be bouncing on a pogo stick. This is effective for escaping on uneven, rocky ground. Boise, Idaho (KIFI/KIDK) – The Idaho Fish and Game Department says there has been no need for large-scale, emergency winter feeding in eastern Idaho, despite near-record snowfall in the high country. The Natural Resource Conservation Service reports snowpack ranges from 91 to 153% of average across the state, with the majority of river drainages between 110 and 130%. But, wildlife managers said animals are faring well. They are optimistic they will not need to declare winter feeding emergencies anywhere this winter. Nampa — Nampa Chief of Staff Bobby Sanchez estimates there are about 60 days left of the city’s crow season, when several thousand crows gather to roost in highly populated areas of the city at night. The city’s first multiphased crow mitigation plan is showing some success, he said. Tactics such as using infrared lasers, drones and decoys were successful when tested, he said. Other efforts were not as promising, such as using deterrent sprays in trees where crows like to roost, according to Parks and Recreation Director Darrin Johnson. “The larger question is where can we displace them to in the long run,” Sanchez said. The spring black bear drawing is complete, and the results have been posted through Fish and Game’s licensing system. Hunters who already have an account can check to see if they drew controlled hunt tags for spring black bear. Steelhead angler effort and catch on the upper Salmon River increased throughout the last week. Temperatures were still well below average for this time of the year but not low enough to prevent anglers from fishing. The majority of anglers were observed fishing between the Lemhi and North Fork Rivers in location code 16. Effort downstream of North Fork in location code 15 did begin to increase but remained relatively low. Additionally, the Deadwater ice jam went out on Thursday, February 28. Are you a safe and responsible hunter or trapper? Are you passionate about hunting and trapping ethics? Do you like sharing your knowledge and skills with youth and adults new to Idaho’s hunting and trapping traditions? If so, consider becoming a volunteer hunter or trapper education instructor. To get started, attend one of Fish and Game’s New Instructor Orientation classes coming up in southeast Idaho. These classes also serve as great refresher courses for those who are already certified hunter or trapper education instructors. This entry was posted in News 2019 on March 10, 2019 by The Yellow Pine Times.